Another excellent costume joins our Heroes & Legends! This is exactly what sets the Emerald Garrison and the movies section of the club, Heroes & Legends apart from many other costuming clubs. Members from both sections don’t just meticulously reproduce a costume. Every member literally takes on the role of the character! They’ve thought about the perfect materials to use to create their desired effect and then next they refine the personality of the Hero or dastardly Villain they’re playing and even go as far as to perfecting their movements! Sometimes that perfect costume can take well over 12 months just to get everything right. One of our newer members Alan Fey, has experienced all the pain and enjoyment of constructing his own costume and we would like to congratulate and welcome him in to the ‘Heroes & Legends’ family as The Dark Knight. 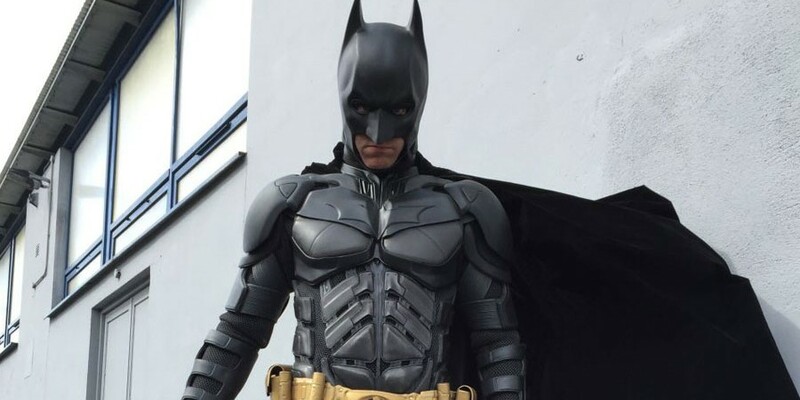 Alan has recently completed our ‘Costuming Clearance Procedures’ for his Batman costume which ensures that our high standards and quality of costuming are maintained at all times for our appearances at events. Whether our members are sewing everything by hand, building things out of foam or even digitally designing 3D printed pieces, crafting a perfect costume requires a lot of intense and intricate work and is a far more complex operation than most people realise. But this is why we love doing what we do… with a passion!